Home » Posts tagged "Industrial Sewing Machine in the Apparel Industry"
Industrial Sewing Machine in the Apparel Industry: Nowadays different sewing machines are used in the apparel industry for a different purpose and all are an electrical sewing machine. This machine is the improved version of a traditional sewing machine. The sewing machine is being used after the industrial revolution. It is important to know all types of the sewing machine used in the garments industry if are a garment professional. If you are involved with the RMG sector, then you have to know about the sewing machine and their functions. 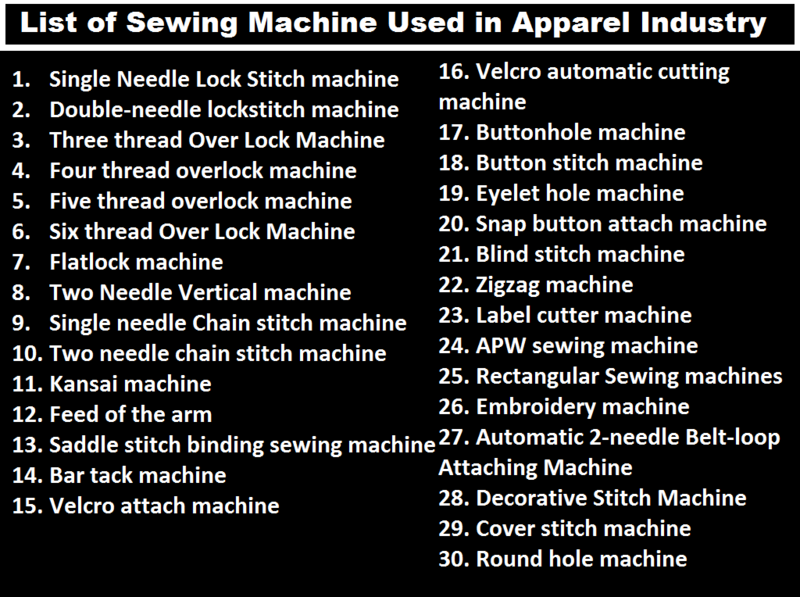 In this article, I made a list of sewing machine used in apparel industry.